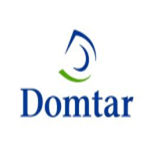 Domtar has successfully started up a commercial-scale LignoBoost™lignin separation plant at its pulp and paper mill located in Plymouth, NC (USA). This is the first commercial installation of a LignoBoost plant in the world and the technology is supplied by Metso. The process of getting lignin from black liquor is now being demonstrated on a full scale. Lignin for fuel applications or refining is obtained in large quantities from kraft mill black liquor using the LignoBoost™ process (developed by Chalmers University of Technology and Innventia, now owned by Metso). Before the commissioning of this first commercial plant in the USA, various special grades of kraft lignin had been made for several years at Innventia’s LignoBoost demonstration facility in Bäckhammar (Sweden). A number of interesting applications are being tested, such as antioxidants, binders and dispersants. The LignoBoost plant is integrated with the pulp mill and separates and collects lignin from the pulping liquor. This brings multiple benefits to the Plymouth mill . Lignin is a high-quality bio-based alternative to fossil fuel based materials. Separation of a portion of the mill’s total lignin production also off-loads the recovery boiler, and allows to increase the pulp production capacity. Domtar’s production of BioChoice™ lignin began in February 2014 with a targeted rate of 75 tons a day (~27.000 tons /year). A wide range of applications and markets for BioChoice™ lignin are being developed including fuels, resins, and bio-thermoplastics. Having lignin available in large quantities and high quality from the Domtar plant will help to fuel the development of applications and markets for lignin . “The technology has been developed by Innventia in Sweden, in association with the Chalmers University of Technology. Metso purchased it and completed its industrial development. Both parties continue to work together to refine the technology and develop new lignin applications in partnership with customers and prospects. LignoBoost™ has generated a great deal of interest in the pulp & paper industry globally and this is a major breakthrough for all parties involved in this first-of-a-kind project,” says Gene Christiansen, Senior Manager, Business Development Innovations at Metso’s Power business line for North America. BioChoice is a trademark of Domtar. LignoBoost is a trademark of Metso.